About "Writing equivalent expressions using distributive property worksheets"
Worksheets on writing equivalent expressions using distributive property are much useful to the students who would like to practice problems on "Distributive property"
1. Use distributive property to write an expression that is equivalent to 3(10 + 2). 2. 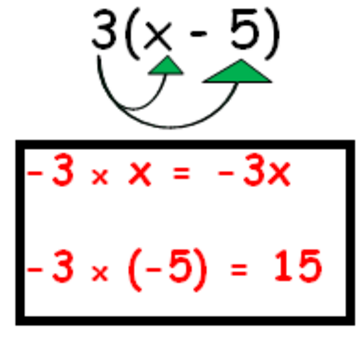 Use distributive property to write an expression that is equivalent to 5(6 - 3). 3. Use distributive property to write an expression that is equivalent to 7(x - 3). 4. 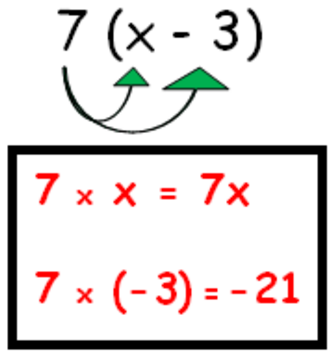 Use distributive property to write an expression that is equivalent to 2(2x - 5). Use distributive property to write an expression that is equivalent to 3(10 + 2). Use distributive property to write an expression that is equivalent to 5(6 - 3). Use distributive property to write an expression that is equivalent to 7(x - 3). 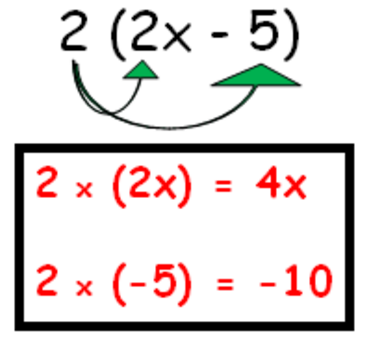 Use distributive property to write an expression that is equivalent to 2(2x - 5). After having gone through the stuff given above, we hope that the students would have understood "How to write equivalent expressions using distributive property".